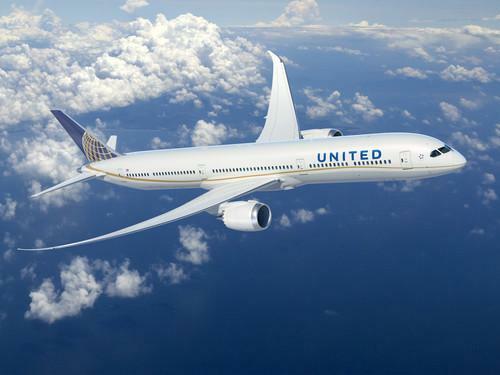 United's 787 Dreamliner in flight. When Tracy Lee talks about the weather he's not just making idle conversation. The talk probably has to do with one of the 1,800 daily flights United Airlines operates, all overseen from the 27th floor of the Willis (formerly Sears) Tower in downtown Chicago, which houses United's network operations center (NOC.) Lee, vice president of network operations at United, calls the NOC "mission control." To go inside United's network operations center, watch this video. The NOC is in charge of everything from figuring out how planes should be loaded to distribute weight correctly to assigning which aircraft will fly which route. "We actually create the flight plans," Lee said during an interview on the floor of the NOC. "What's the path from A to B? How much fuel does a plane need?" The space is massive, with about 375 workstations that are staffed across three shifts, 365 days a year, as there is a United flight in the air at all times. Each workstation has a desk with its own air flow and lighting, and the desks can elevate for workers who want to stand. "This whole floor has virtualized workstations," said Jane Beeby, managing director of technology for United Airlines. "The applications for the most part do not reside on the workstation." Beeby said that the applications are housed in United's two data centers, which are off site. United uses Sabre's Flight Plan Manager, which runs on a Unisys mainframe for reliability, she said. The group has also custom built other front-end applications that allow employees to view data in a task-specific way. "The data on the back end is used commonly across all the departments, but then we'll customize a front end for that particular department," she said. The NOC is broken up into different sections in a ring around the center of the floor. The key decision makers for each department are located on "the bridge." In front of them is a theater-style display that shows each plane's location. The display can be changed to a view from a camera at any one of the airports United serves. Charts that show the airline's on-time performance are alongside the map and on monitors throughout the floor. The charts are color-coded red and green based on whether United is meeting the target metric. For example, United has a goal of having 80 percent of its domestic flights arrive within 14 minutes of their published arrival time, an industry standard. When it was just shy at 78.2 percent, the chart was red. Other sections include routers, which determine which aircraft will fly which flight; load planners who figure out how best to load cargo to distribute weight; weather that has meteorologists monitoring conditions around the world; ATC or air traffic control, which interfaces with airports; and dispatch, which draws up the flight plan for each flight. "Five days before an aircraft departure our aircraft routers become aware and assign a particular airplane to a specific flight," Lee said. Dispatchers begin building a specific plan for a flight about four hours before scheduled takeoff. That includes, among other things, how high the plane will fly and what route it will take. The flight plan is then sent to the captain at the airport to sign off on. The plane is then boarded and takes off. During the flight, dispatchers follow the plane and from their desks can communicate with each plane in the sky. Dispatchers could warn pilots of turbulence or other problems, Lee said. There are redundancies both on site at the NOC and in the dual data centers, Beeby said. The applications that NOC employees use are on a cluster environment so there is always a backup, Beeby said. Outages do occur, though. In 2012, when United and Continental moved to a common system following their merger, there were a number of outages. "If it's one [outage] where we can't depart, alerts go out and I get emails," said Lee. He'll convene a small group to determine what course of action the team should take and how long it might be until the problem is solved.